Small shelves are always popular, since they are offering many flexible storage solutions for the different rooms in the home. The fine little Cadovius Butterfly Shelf from 1958 and the iconic Royal System from 1948, are both designed by Danish Poul Cadovius, and this year, they can celebrate their 60th and 70th anniversaries respectively. Cadovius Butterfly Shelf is a perfectly executed shelf with a playful contrast between the lightness of the butterfly shape and the natural solid wood. 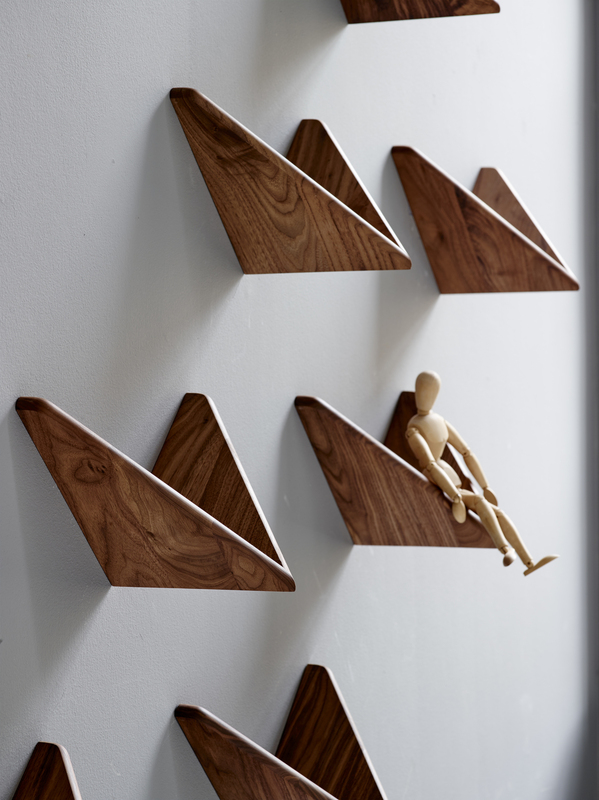 The decorative, multifunctional shelf has a simple and clean look, with a small delicate detail: a laser-cut engraving on the wing, indicating brand name, designer and design year. The shelf is perfect for storage of small items, such as keys, cell phones, jewelry, etc., but it also works well as an exciting and alternative wall decoration. Poul Cadovius designed the shelf in 1958, and actually it was developed a little bit by coincidence, when he was experimenting with some steel plates, which were left from the production of the award winning Ultra shelf from 1957. He tried to bend the steel plates in different ways, and suddenly he was standing with a fine little butterfly shaped shelf in the hand. To begin with, the shelf was made in colour painted steel and veneered steel. Later on, it was launched in solid wood, which was also the version that dk3 relaunched back in 2015. To celebrate the 70th anniversary of the Royal System, the iconic chelving system has been launched in a smaller version. 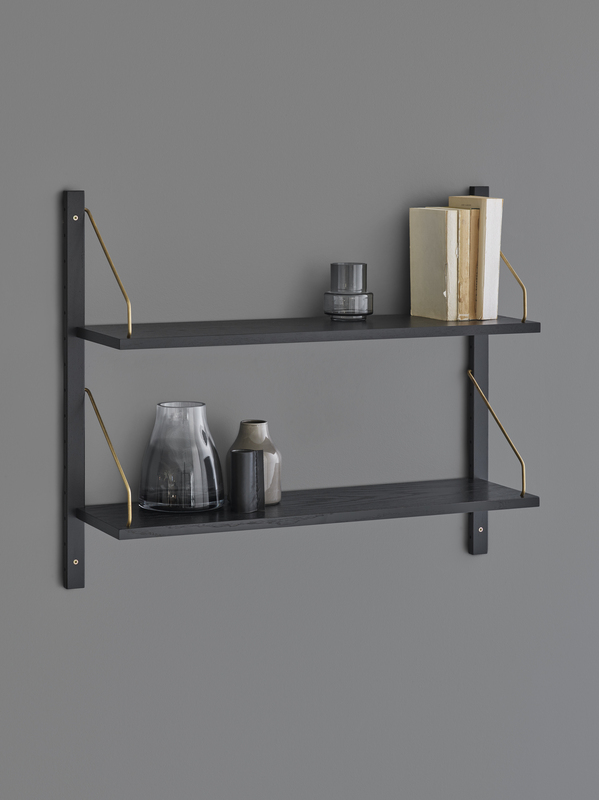 The anniversary set consists of two 70 cm rails and two shelves with hangers in either raw brass or stainless steel. A fine, little shelf that fits perfectly into any kind of interior design, and which can be used to store everything from cooking books and magazines to make-up, toys, kitchen equipment, etc.